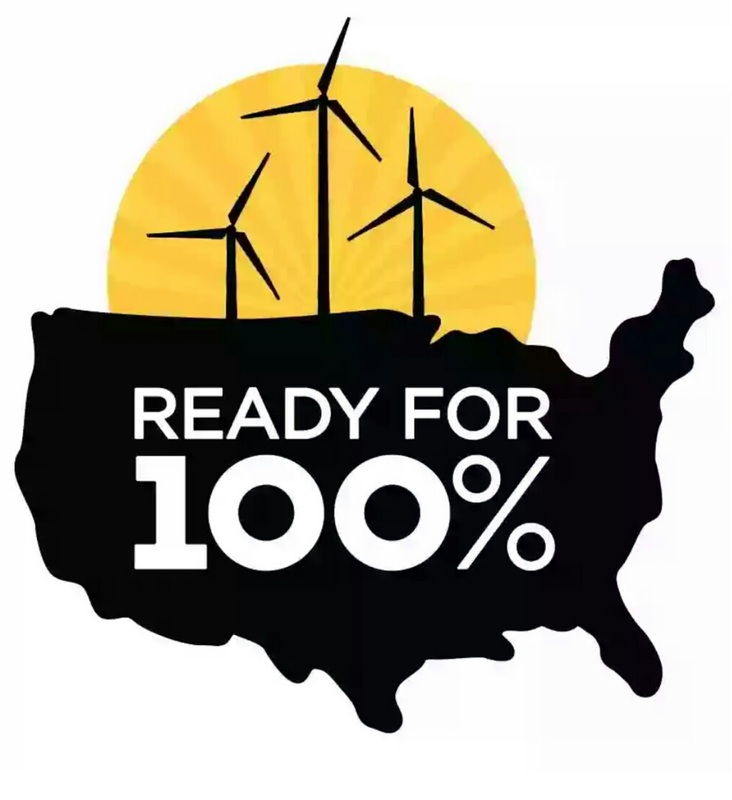 The CRSC Ready for 100 team is ready to take the next step toward helping Coulee Region communities commit to going 100% renewable by 2050 or sooner as nearly 100 US communities and counties (including the Wisconsin cities of Eau Claire and Madison) have done over the past couple of years. The most recent reports on carbon emissions are not good. We have now surpassed 410 parts per million (350 ppm is the target for sustainability). The Trump administration is considering using cold war era rules to require subsidies of the fossil fuel industry, is preparing the path toward letting oil exploration leases in the Arctic National Wildlife Refuge, and "quietly killed" the $10 million annual budget for NASA's carbon monitoring program. And Trump tariffs have reportedly shut down billions in new solar projects. The R4100 local team wants the City of La Crosse and other communities to pledge to renewable energy. We are working on a presentation to educate community members about the issues and the initiative and to motivate them to contact their elected officials and push for a formal commitment. We will also help Coulee Region Sierra Club members to start a Ready for 100 effort in their communities and possibly in Coulee Region counties as well. If you would like to help create the presentation, please email us (crsierraclub at gmail)*. If you know of a community group where we could present (or if you would like to do or help with a presentation) please email. If you would like to contact your community leaders to get an initiative started or to help with the La Crosse initiative, please contact us. *Next meeting week of June 11. "The biggest climate summit since Paris will happen this fall in California, but it may get lost amid season three of 'Unpatriotic Football Players' or what ever new provocation Trump dreams up. And that would be terrible, because this is time we’ll never get back. Even if a new president someday takes up climate seriously, the carbon we’re spewing now will still be in the atmosphere to haunt us over geological time. Time is the trouble."